Game wardens in New Jersey work for the state’s Division of Fish & Wildlife and are known as conservation officers. New Jersey is home to five distinct regional habitatwz of animals and birds. Therefore, the state needs licensed and qualified conservation officers. New Jersey’s status as a major shipping area combined with its large population leads to additional challenges for the state’s conservation officers. The illegal sale of endangered and threatened species is a perennial problem in the US and particularly in New Jersey. Conservation officers constantly work to thwart the people who carry out these egregious wildlife crimes. Jobs as conservation officers in New Jersey pose challenges both physically and mentally. Despite these demands, many applicants seek to become conservation officers, so the process to become one is highly competitive. Understanding the requirements and hiring process gives a competitive edge to applicants. 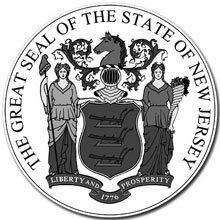 Read on to discover how you can best prepare yourself for the game warden application process in New Jersey. Men and women with an aptitude for law enforcement and a love of the outdoors make ideal candidates for conservation officers with the state of New Jersey. In addition to their work as law enforcement officers enforcing the regulations on hunting and fishing, New Jersey’s conservation officers have a range of additional roles. These conservation professionals educate the public on the state’s habitats and wildlife and train hunters and anglers to safely engage in these sports. Therefore, conservation officers must be highly skilled at communicating with the public. Applicants for conservation officer positions must be prepared to effectively showcase the variety of skills and relevant experience they possess. Shown below are the minimum qualifications to be considered as a conservation officer by the New Jersey Division of Fish and Wildlife. Hearing: The applicant must have unaided hearing adequate to perform all the essential duties in the officer role. Psychological Condition: Candidates must have suitable mental health for the responsibilities of the role. The US Bureau of Labor Statistics reported that conservation officers in New Jersey earned the 3rd highest average salary among all game wardens in the country as of 2016. In fact, at $82,800 ($39.80 hourly) according to the New Jersey Department of Labor and Workforce Development, the average salary of a conservation officer in the state exceeded the national average among game wardens by more than 50%. The average salary for experienced conservation officers in the top 25% exceeded the national average in this bracket by 40%. New Jersey’s conservation officers in this category earned an average salary of $91,700 ($44.10 hourly).